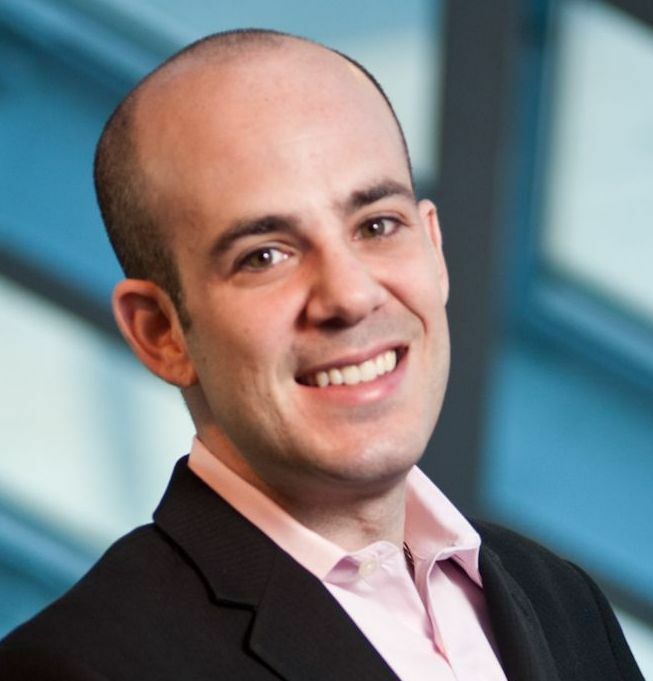 Business etiquette expert Scott Steinberg provides Fortune 500 organizations, working professionals and non-profits with the essential communications, leadership, and career skills that they need to succeed in today’s fast-changing and diverse environment. A leading provider of training programs, real-world or online classes, keynote speeches, workshops, courses, and seminars covering modern manners and online etiquette – as seen in 600+ outlets from ABC, CBS and CNN to Men’s Health, USA Today and PARADE – his solutions offer vital tools that can help you lead and succeed today. One of the first business etiquette experts to revolutionize the workplace by providing consummate guidelines, formal lessons, and rules for connecting in the online world and digital marketplace, as well as contemporary real-world professional environments, his dynamic and engaging seminars, workshops, and classes are designed to speak to business executives and working professionals of every background and experience level, empowering them to become more successful in their businesses and careers. Boasting a powerful combination of motivational, informative, and inspirational insights, Scott’s keynotes, classes, and training programs are designed to offer high-energy, high-impact solutions for organizations and working professionals in every field. Custom solutions can help you increase performance, establish tighter bonds between both employees and customers, and foster a corporate culture of trust, innovation, and diversity. The author of Netiquette Essentials is one of the most influential speakers in today’s business world, and you’ll learn without delay why the biggest brands and businesses worldwide regularly endorse him wholeheartedly for events ranging from trade shows to meetings, think tanks, executive summits, and beyond. A critically-acclaimed business etiquette expert and trendspotter, as seen in 600+ major media outlets as The Huffington Post, Mashable and The Wall St. Journal, Steinberg is a leading voice well known to more than one billion people worldwide. Hailed as a top authority in business by Rolling Stone, USA Today, and more, he's a leading provider of training and market research to Fortune 500 businesses and organizations. Trusted by household brands across every category from business-to-business to consumer, executive teams, organizations, and industry professionals routinely look to him to partner in order to help them communicate more effectively and take a more efficient approach to customer relationships and reputation management. As a bestselling leadership and innovation speaker, he's one of the world’s most celebrated business strategy consultants. 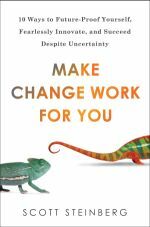 The author of Make Change Work for You: 10 Ways to Future-Proof Yourself, Fearlessly Innovate and Succeed Despite Uncertainty, the Fortune 500 calls Scott a "defining figure in business and technology" and "top trendsetter to follow." For over ten years, decorated Fortune 500 companies such as Duracell, Ford, Google, HP, IBM, Mattel, Sears, and many more have lent their attention to his workplace tips, training classes, and/or consulting insights. As the CEO of management consulting and market research firm TechSavvy Global, he helps clients of all sizes better understand emerging innovations and trends, and cultivate competitive advantage. An award-winning provider of keynote speeches, workshops and seminars for Fortune 500 businesses, non-profits, associations and educational institutes, he's partnered with many leading organizations to deliver game-changing leadership, education, and change management programs.